Excess cucumbers, plus some large tomatoes, some grapes tomatoes ,green pepper was made into 11 liters of juice. Total weight was about 16 pounds.The produce was pressure canned at 15 PSI for 15 minutes for storage. Pictures depict the process. 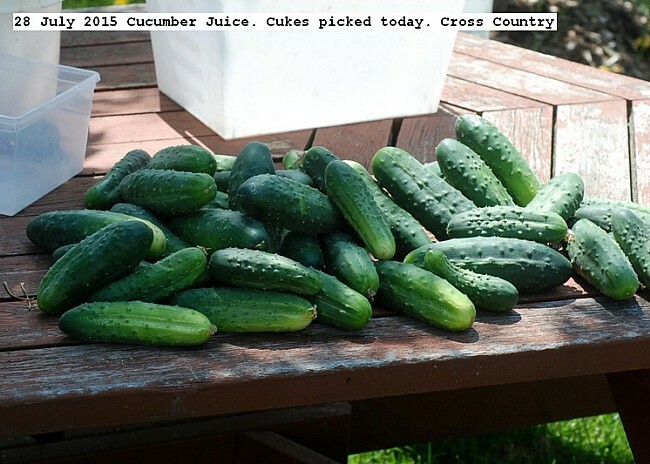 This entry was posted in Uncategorized and tagged Cucumber Juice. Bookmark the permalink.